Happy Valentine's Day! It's late for saying something, but it's not never either. As some of you are finishing off or maybe just getting started with Valentine's Day take some time and remember God's love is important. So much more than the mushy stuff, loving a person isn't all about physical love. It's much more than that. 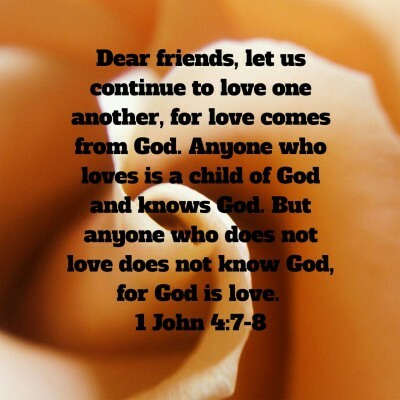 This entry was posted in Verses of the Week and tagged Love for God, Valentines Day by Tigger. Bookmark the permalink. Good stuff Tigger! Thanks for your encouraging words. Love is so much more than physical attraction – it's about wanting and striving for what is best for the one you love. Thanks!